In the Philippines recently to accept an honorary professorship by the University of Santo Thomas, Tun Dr. Mahathir Mohammad, in his usual provocative style, drew attention to some of the weaknesses of democracy and warned that we should not put too much stock in democracy to solve our problems. If his goal was to highlight the difficulties inherent in a democracy, we will all do well to pay careful heed. If, however, his objective was to make the case that democracy, because of the weaknesses he highlighted, is not suitable for developing countries like Malaysia, which I suspect is his intent, then I must respectfully beg to disagree. Dr. Mahathir complained that people don’t understand that freedom must be balanced with responsibility, that they are too divided to agree on anything, too incompetent to elect good leaders and that they invite instability by constantly changing governments. In other words, people are basically too irresponsible, too incompetent, too poor a judge of character and ability, and too fickle to govern themselves. Quite a damming judgement of the common man. It is not a novel idea and neither is it the first time that Dr. Mahathir has made the case for greater executive power and stronger government at the expense of democratic rights and institutional checks and balances, a kind of benevolent dictatorship, if you will. To prove his point, he quoted the example of an unnamed democratic country where successive governments have been brought down by strikes and demonstrations which have resulted in paralysis, instability and economic stagnation. He might have been referring to one of the Arab countries though his description might well fit the very country he was speaking in. It is interesting that he should choose to rest his case against democracy on this unnamed and admittedly poor advertisement for “government of the people, by the people and for the people.” Why take the worst case scenario when there are so many good examples of successful democracies in the world? Wouldn’t it have made more sense to take a broader perspective and judge on the basis of overall results? It is hard to escape the conclusion that at the heart of his political thesis is the notion that the Malaysian model, the model he essentially created and bequeathed to us, an illiberal democracy as he admitted, where untrammelled authority and power is basically vested in one man who knows what’s best for the nation, is far more effective than the liberal democracy that so many Malaysians are clamouring for these days. And, he seems to be saying that the proof is in the pudding – just look at Malaysia today and the amazing transformation that took place under his leadership. His unspoken message is that if we want to keep on growing rapidly and enjoy the good life, we ought not to press for greater freedom and minority and human rights, which he deems subversive and counterproductive. His idea of a good democracy then seems to be one in which the people elect a leader and then get out of the way and let him do whatever he wants for as long as he wants to. Respect for fundamental human rights, accountability, transparency, constitutional checks and balances, separation of powers between the executive, the legislative and the judiciary, etc., have no place in this scheme of things. Indeed, they are a hindrance to effective and productive governance. Are the alternatives any better? There is no doubt that democracy has many flaws and is admittedly a difficult system to manage because it tries to balance the rights of the individual with the common good. It is true that citizens are sometimes unmindful of their responsibilities and, yes, people do not always make the right decisions and, as a consequence, straddle themselves with mediocre leaders. Dr. Mahathir is also right when he points out that frequent changes in government do not make for continuity and long-term planning. Winston Churchill famously declared that “Democracy is the worst form of government, except for all those other forms that have been tried from time to time.” And really that is the issue. What are the alternatives? Is a more authoritarian governance system, the kind that Dr. Mahathir seems to favour, a better alternative to liberal democracy? I suggest, for any number of reasons, that it is not. One has only to survey the political landscape of much of the developing world, for example, to see the utter folly of non-democratic systems of governance. Many Third World leaders have near absolute power to govern but how have they used their power? Which autocratic leader has been able to meet, on a sustainable basis, the expectations of his own people for a good and decent life? Dr. Mahathir quoted Lord Acton’s famous dictum that “power corrupts and absolute power corrupts absolutely.” If he saw its application at work in so many of the Third World countries he visited during his long tenure in office or suspected that it might have been at work even in his own backyard, he doesn’t say. It’s true, of course, that some nascent democracies continue to struggle politically and languish economically. One Filipino commentator enthusiastically said that Dr. Mahathir’s assessment of democracy was an accurate description of the situation in the Philippines and went on to lament the paralysis and ineffectiveness of democratic government there. But with a long history of dictators and quasi-dictators, is the Philippines really a good example of a working democracy? 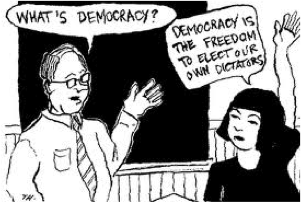 What the Philippines needs is not less democracy but more democracy. The other thing that should be noted is that democracy, unlike tyranny, cannot be imported wholesale from abroad. It takes time to grow roots of its own, adapt and evolve. The Americans like to say that their democracy, more than 230 years in the making, is still a work in progress. It is not an argument to curtail democratic governance but rather an exhortation to keep pressing on. The fact remains that democracies, while not perfect, are overwhelmingly better than autocracies at providing the kind of political, social and economic environment that is necessary for sustained stability, prosperity and social harmony. It is not for no reason that hundreds of thousands of migrants leave their own non-democratic societies each year and head for democratic ones. They are voting with their feet because they cannot vote with their hands. Dr. Mahathir’s comment that democracies tend to throw up mediocre leaders is also puzzling. Seeing as how he himself was elected to office, is he proving his own point about the mediocrity of elected leaders or is he suggesting that somehow we got it right when we elected him to office? Leaving that aside, the law of averages would suggest that mediocrity will be found in equal measure in both non-democratic and democratic systems; the only difference is that the citizens in one are stuck with mediocrity for a lifetime while in the other there is at least the prospect of peaceful change in the not too distant future. And that makes all the difference in the world especially if you are stuck with a Mugabe or a Mubarak, or worse still, a Kim Jong-Un. And even if we were so fortunate as to find a great, wise and benevolent dictator to lead us into the promised land, what guarantees are there that the dictators that come after will be as wise and benevolent? Greatness, unlike tyranny, cannot be inherited or passed along. More to the point, even great leaders are not infallible and neither do they have a monopoly on wisdom. Dr. Mahathir, for one, despite his many successes and innovative ideas, left behind a nation in deep disrepair – poorly managed, corrupt, disunited and divided, and uncertain of its future. Many Malaysians will also argue that he was a serially poor judge of character. Several of the men he handpicked or endorsed to lead national projects turned out to be either corrupt or incompetent, or both, and the nation lost billions upon billions of ringgit in the process. Even his choice of political successors were, by his own admission, huge mistakes. He later found them to be either inept or unfit for office and felt compelled to oppose them in varying degrees of intensity. So much of the political instability that we face today is a direct consequence of the political choices he made. Sure, we made huge strides economically, but at what price? In the process of Malaysia’s own “Great Leap Forward” corners were cut, corruption flourished, national institutions were weakened and checks and balances on executive power diluted. And now the chickens have come home to roost. We might be better off economically but we are certainly poorer in the things that make a nation truly great. And besides, what might have we been able to achieve if not for all the corruption, mismanagement, the abuse of power and the stifling of different viewpoints and ideas? My guess is that we would, today, be one of the most dynamic and prosperous nations in the world – strong, stable, more democratic and at peace with itself. The reality is that non-democratic regimes, because they are unaccountable, have little or no checks and balances, and are essentially closed systems, tend to quickly degenerate into corrupt, abusive and inefficient governance systems that are simply unsustainable. Take the case of Egypt, which is so much in the news today. President Hosni Mubarak took power at a chaotic and difficult time in his country’s history. He promised reform and offered hope to his people but his government succumbed to the corruption of power, and Egypt soon became synonymous with instability, stagnation and oppression. While the people struggled to make a living, he and his cronies lived in pharaonic splendour. In the end, with nothing to lose, desperate people rose up and overthrew him. And who can blame them? The Arab Spring has certainly been disruptive and people are arguably no better off today than they were before, at least in economic terms. Those who favour the status quo are quick to play up this aspect of the Arab Spring and rail against street demonstrations. Of course, evolutionary peaceful change is always preferable to revolutionary upheaval. It would have been nice if leaders like Mubarak and Ben Ali, and their foreign backers, had had the common sense to see that their regimes were unsustainable and worked to effect peaceful transformation and change but dictators rarely do so. Don’t blame the people of Egypt or Tunisia for the messy situation they are in today as a result of revolution; blame the dictators who gave them no other option. In the wake of the BERSIH demonstration last April, accusations have been made that opposition and other civil society groups are conspiring to overthrow the government through Arab-style protests. That is a gross misrepresentation of the situation. The tens of thousands of people who turned out to demand free and fair elections were not trying to foment an Arab Spring in Malaysia but were trying to avoid one through democratic reform and peaceful change. First, people are, on the whole, better off governing themselves; when they surrender this right to the wise men who claim to know what’s best for the rest, they invite disaster upon themselves and their nation. Second, universal values of freedom, equality and justice are an important prerequisite for progress and prosperity. It is also morally right and reflects our highest and noblest aspirations. We can argue about details but we must never compromise on the principles. Third, our best hope rests not in the infallibility of great leaders but in the sanctity of great institutions – a fairly and freely elected parliament, an independent judiciary, an accountable and non-political police force and civil service, and a free press – rightly founded upon just laws. 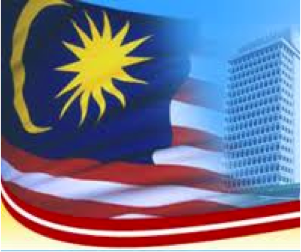 Though the challenges ahead of us are many, there is no doubt, not any more, that we the people of Malaysia have it in us to rise above our differences, to overcome misunderstanding and prejudice, to marshal the talents and skills of all our people to build a better nation and a better democracy. Very informative and insightful. Of course, democracies work well with certain prerequisites – esp. strong institutions (incl. a strong constitution) and an educated citizenry. In their absence, Dr. Mahathir’s suggestions seem tempting indeed.